Bethesda Fine Arts Festival this weekend! Join a lot of art lovers at the 15th annual Bethesda Fine Arts Festival this Saturday, May 12 from 10am-6pm and Sunday, May 13 from 10am-5pm. Artists from across the country will showcase and sell their original painting, drawing, photography, furniture, jewelry, woodwork, ceramics and more in Bethesda’s Woodmont Triangle, along Norfolk and Auburn Avenues. The two-day event will feature fine art, live music and local restaurants. Admission is FREE and there's plenty of free parking as well!. The Smithsonian’s National Portrait Gallery recognizes the life of Henrietta Lacks with the installation of a 2017 portrait by Kadir Nelson. The painting will be installed on the museum’s presentation wall on the first floor Tuesday, May 15. The portrait was jointly acquired by the National Portrait Gallery and the Smithsonian’s National Museum of African American History and Culture as a gift from Nelson and the JKBN Group LLC, and will be shared by the two museums. The artwork will be on view at the Portrait Gallery through Nov. 4. 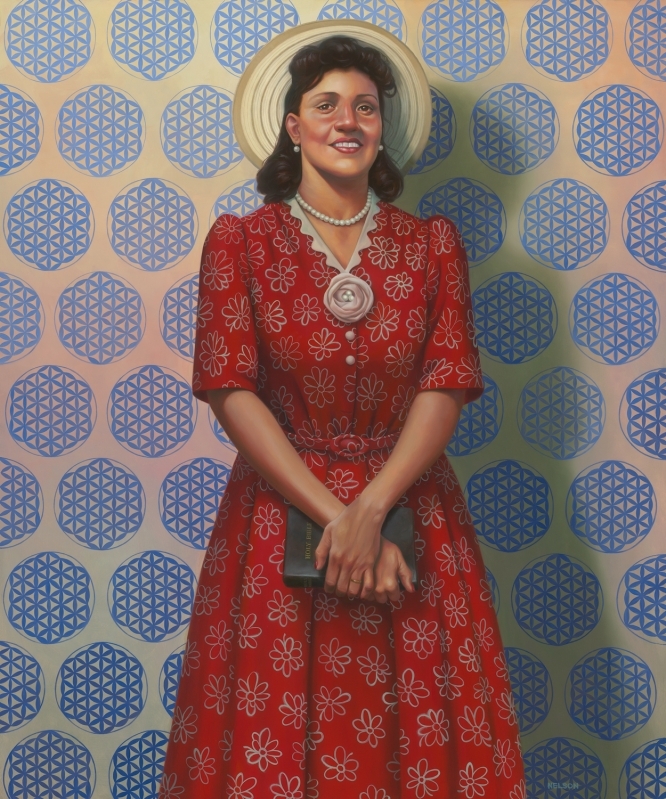 “Henrietta Lacks (HeLa): The Mother of Modern Medicine” by Kadir Nelson, oil on linen, 2017. Lacks (1920 – 1951) lost her life to cervical cancer at age 31. During her treatment, doctors took cells from her body and discovered they lived long lives and reproduced indefinitely in test tubes. These “immortal” HeLa cells have since contributed to over 10,000 medical patents, aiding research and benefiting patients with polio, AIDS, Parkinson’s disease and other conditions. Considering the history of medical testing on African Americans without their permission, the fate of Lacks raises questions about ethics, privacy and race. Addressing those issues forthrightly, Rebecca Skloot’s 2010 book, The Immortal Life of Henrietta Lacks, prompted Oprah Winfrey and HBO to explore her story on film. Commissioned by HBO, Nelson used visual elements to convey Lacks’ legacy. The wallpaper features the “Flower of Life,” a symbol of immortality; the flowers on her dress recall images of cell structures; and two missing buttons allude to the cells taken from her body without permission.